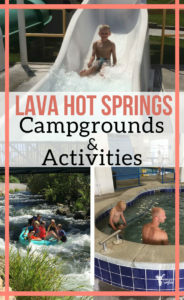 Are you looking for Lava Hot Springs campgrounds or for fun activities while visiting Lava Hot Springs. Lava Hot Springs draw crowds from all over the world to enjoy the warm pools and fun recreational Olympic Pool. This place has something for every age and is a quaint little town nestled in the mountains of Idaho. The town and people are a very tight knit community. Everyone knows each other and have shared many life experiences together; some happy and some tragic. The population of Lava is around 450 people and many of them farmers. Starting Memorial Day Weekend, the city of Lava becomes a busy tourist town. 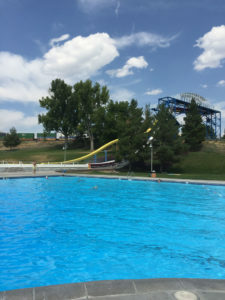 On one end of town is the big recreational pool that has something for every age inside, and in the middle of town are the hot springs where millions have enjoyed its relaxing hot waters. 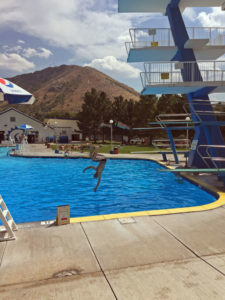 The last weekend the Olympic pool and many of the campgrounds are open is Labor Day Weekend. You can still visit and enjoy the hot pools during the winter and rent an Airbnb for a couples get away. We have used Airbnb many times and have had a great experience each time. Lava has great options from historic cabins to Midieval Chambers! Using the above link will get you $40 of travel credit when you sign up! Go check them out. Located: 0.7 Miles from Downtown. We stayed at Mary’s Place Campground and loved it! It was shaded and had grass in all of the camp spots. They had RV spots and beautiful tent camping spots right a long the river. They had Wifi and wood and ice for sale. Dogs are allowed but need to be on a leash. This campground is open year round for those of you who want to enjoy the springs during the winter. This place provides clean shower facilities, laundromat, a pavilion with an outdoor kitchen, playground, horseshoe pits, volleyball, tether-ball, gift shop/convenience store, fire pits, fishing and Wi-Fi. Located: 0.8 miles from downtown. There are 15 RV spaces tucked inside a bunch of trees. It includes water, sewer, electricity (30 amp), internet, cable TV, Cement Pads and Grass and SHADE! Sounds fabulous and within walking distance of everything which is even better! The name says it all! This campground is located right on the Portneuf River. There are electrical hookups available at some sites, but no sewer for RV’s (there is a dump station nearby). You can get water from a watering station at different central places in this campground. Riverside campsites with lots of room located before the Lava Hot Springs exit. 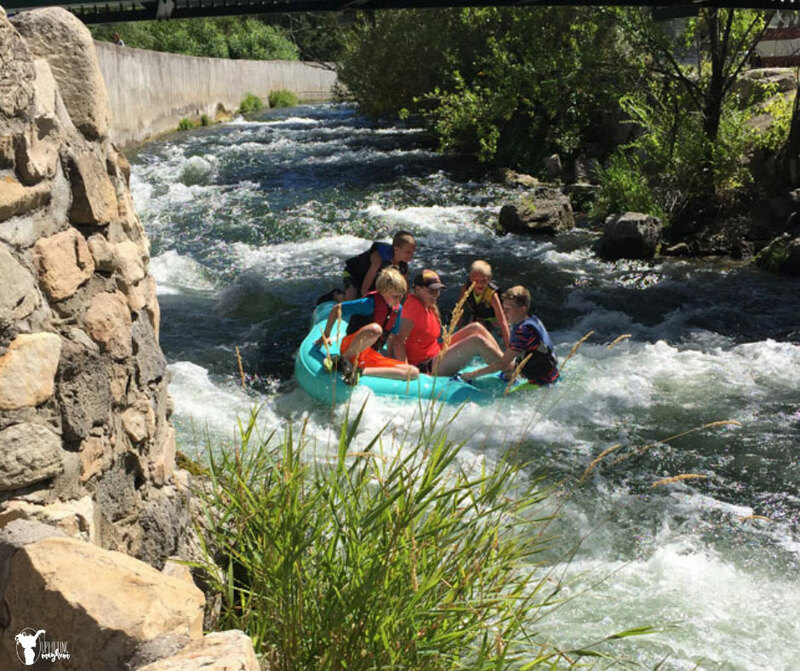 They offer private river access for fishing, tubing or just swimming on a hot day! 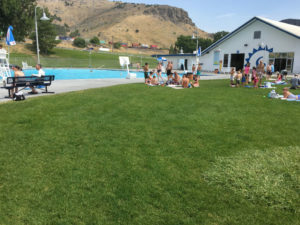 This campground is the closest campground to the Olympic pool and is across the street from the Hot Springs Pools. They provide new shower facilities, laundromat, playground, jumping pillow, dog run, gift shop/convenience store, fire pits, fishing and Wi-Fi. This campground has wide open spaces! They have a playground for the kids with wide open grassy area for games and active kids! There are even two trout ponds you family can use to go fishing! Sounds amazing! This place is a Motel as well as a campground. They have a petting zoo for kids that includes miniature horses. So fun! There is also river front fishing, swimming and tubing. Lava Campground is a typical campground with RV spots for all sizes with tent sites as well. The sites are big allowing you more privacy and to spread out a little bit. The two bigger slides you needs to be 48” tall. My 6 year old was tall enough for them all and went down all of them except one. 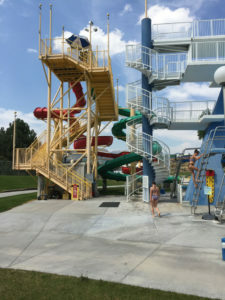 The slides don’t end in the pool, but end in the tube itself (like a slide on a cruise ship), so if your child isn’t a strong swimmer, that’s ok. 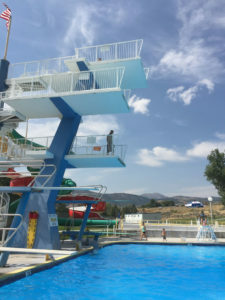 There are also 3 Olympic diving platforms that are 5 Meters, 8 meters and 10 meters high. To go off of these platforms you need to sign a waiver for yourself or kids who want to take the 30 ft plunge. On either side of the platforms are regular height diving boards that are always fun for those who don’t like the height of the platforms. Just as an FYI, you cannot jump off the diving boards with life jackets on. The outdoor pool is pretty big with a big area that is shallow for younger kids to play. Inside there is a lap sized pool with more diving boards and a rock wall. There is also a kiddie pool inside that has lots of fun activities for small kids. Next to the kiddie pool is a hot tub. There is a large grass area you can lay your blankets and towels on, or set up your shade. You can bring in your own food, but have to keep the food away from the pool. There are also concession stands if you want as well. This is a fun relaxing place that is open early at 8:00 am and doesn’t close until 11:00 pm. On a Saturday night it gets pretty crowded with very little room to move around in. My boys loved it still. There are around 5 hot pools to sit in ranging from 105 degrees to 112 degrees. There are showers and dressing rooms there to wash off after and get in warm clothes if it’s a chilly night. 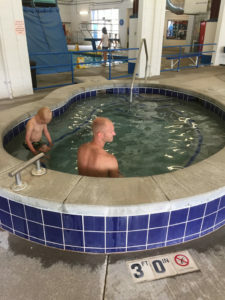 The Olympic Pool and Hot Springs are both separate facilities. 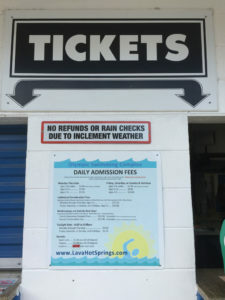 You can however buy a combo ticket for the day and go back and forth between the two pools. They are fairly close to each other, I believe it was only 4-5 blocks. We went to the Hot Springs in the morning and after dinner, with the recreational pool during the heat of the day. When you are at the Hot Springs Pools, there is a wall that you can go and look over to watch tubers coming down the river. The river looks a little crazy, but we went down 4-5 times and my boys loved it. We went the last weekend of the season, so the water was chilly. All of the Lava Hot Springs Campgrounds I mentioned above are all within 2 miles of this place, which is downtown Lava. There are 4 different sizes of tubes. You have a 4 man, 3 man, 2 man and a single man tube. If you want a calmer ride, rent the 4 man tube. It was still fun, but I never saw any tip or flip going down the river. I saw one two man tube flip and lots of single tubes flip over a little drop in the river. If you have little kids, I highly recommend renting the 4 man tube and bring life jackets just to be on the safe side. There are places all over town that rents tubes. We found the tent right across the street from the Olympic Pool to be the cheapest. 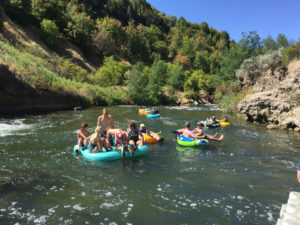 They rent their tubes for $5 a hole and you can also pay extra for a shuttle to take you and your tube up the river to the drop off point. That shuttle will pick you up again at the bottom to take you back up to the top. If your budget is tight, the walk is totally doable; it is about 4-5 blocks. I ran up this many times taking pictures. 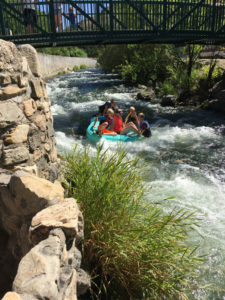 The river run takes about 15-20 minutes from when you get in the water to the finish where you pull out (This also depends on how many people are tubing). Here are a couple things to remember to make your experience safe and fun. 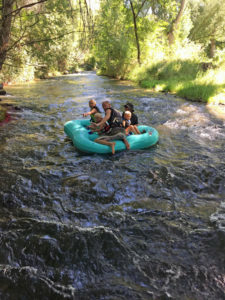 Have each person where shoes as there are times when you have to push off the sides with your feet, or you have your feet go through the tube hole, or in case you have to get in the water at any point. The rocks in the river are very sharp. Also keep your legs in a position that it can’t get caught and pulled underneath the tube. We had 2 boys get their legs caught as we went down a rapid and their leg got caught between the tube and rock as the river continue to pull them them downstream. They received big scratches all up and down their legs. Keep your hands and legs inside the tube at all time, lol, or just not in a place that it can be dragged and pulled under your tube. I highly recommend life jackets, especially for kids. The river isn’t deep and adults could touch the entire way however, to put your mind at ease and not have to worry so much about your kids, have them wear a life jacket. Here are other tips for a stress free vacation with kids! I also recommend having at least one adult on each tube. I went with my boys and their friends who are 9-11 years old, and one boy got his leg caught and I was able to help him and pull him up preventing further injuries. Knowing all of this will make your tubing trip super fun!! 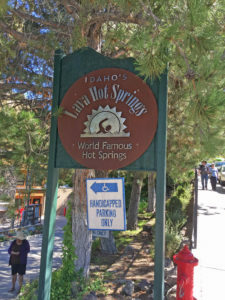 I hope all of this information helps you and your visit to Lava Hot Springs! ENJOY! Spelling Battleship your Kids will LOVE!